Write With Me: NaNoWriMo & the Annual Young Adult Discovery Contest! Are you excited?! Oh my goodness. I am BEYOND thrilled that it's almost NaNoWriMo time! If you don't know what NaNoWriMo is, I'd be glad to introduce you to it! It's short for National Novel Writing Month and every year, participants sign up to write fifty thousand words of their novel. It's a true gem of a month! In thirty days, if you're totally committed, you can pledge to write fifty thousand words and make an account to connect with others (for free) and spread writing inspiration! You can earn badges and privileges by writing more and updating your word count and even share an excerpt of your story with others! Every year, I attempt the hefty word count and so far, I've gotten super close, but never actually hit it. This year, I'm shooting for the stars and REALLY trying to beat my old records. But thanks to the Serendipity Literary Agency, there's an even bigger incentive for everyone! They're holding their 8th YA Discovery Contest and it's got one amazing prize! They wanted me to tell my blog followers that starting November 1st, you can win a chance to get your writing read by editors at Simon and Schuster, HarperCollins, Penguin Random House, Macmillan, Disney, Little Brown, JIMMY Patterson, and Abrams Books. How incredible is that?! Winners from their contest have even gone on to have amazing Literary Agents and gone on to get published! There's also a few other prizes up for grabs for the first people to submit, and for runners up! If you want to read more about the announcement of the contest, everything you need to know is right here! I'll be writing along with everyone for NaNoWriMo 2017, so if you want to be buddies, you can add me as a friend right here! I'll be doing a few updates here during November to hopefully get everyone as inspired as me with some hacks and helpful writing tips! 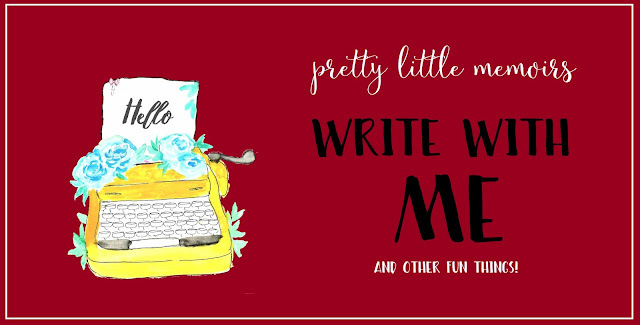 Also, there's a few writing tips available on my Newsletter, so don't forget to sign up!